On this date in 1850, a prickly Hungarian obstetrician named Ignaz Semmelweis stepped up to the podium of the Vienna Medical Society’s lecture hall. It was a grand and ornately decorated room where some of medicine’s greatest discoveries were first announced. The evening of May 15 would hardly be different — even if those present (and many more who merely read about it) did not acknowledge Semmelweis’s marvelous discovery for several decades. What, exactly, was the doctor’s advice to his colleagues on that long ago night? It could be summed up in three little words: wash your hands! It was then that Dr. Semmelweis began exhorting his fellow physicians at the famed Vienna General Hospital (Allgemeines Krankenhaus) to wash up before examining women about to deliver babies. His plea was far more than aesthetic; it was a matter of life and death and helped to prevent a deadly malady known as “childbed” or puerperal (from the Latin words for child and parent) fever. In the mid-19th century, about five women in 1,000 died in deliveries performed by midwives or at home. Yet when doctors working in the best maternity hospitals in Europe and America performed deliveries, the maternal death rate was often 10 to 20 times greater. The cause was, invariably, childbed fever. And a miserable end it was: raging fevers, putrid pus emanating from the birth canal, painful abscesses in the abdomen and chest, and an irreversible descent into an absolute hell of sepsis and death — all within 24 hours of the baby’s birth. The reason seems readily apparent today, if not back then. Medical students and their professors at the elite teaching hospitals of this era typically began their day performing barehanded autopsies on the women who had died the day before of childbed fever. They then proceeded to the wards to examine the laboring women about to deliver their babies. Dr. Semmelweis was brilliant but had two strikes against him when applying for a position at the Vienna General Hospital in 1846: he was Hungarian and Jewish. 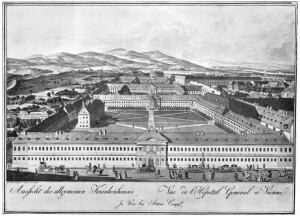 Medicine and surgery were considered to be the premier specialties in Vienna but because of his background and religion Semmelweis was relegated to running the less desirable division of obstetrics. Nevertheless, his claim to immortality was the result of an obsession with finding the means to end the childbed fever epidemics that were killing nearly a third of his patients. (The hospital ward run by midwives, without autopsy duties, had far better outcomes with their deliveries). Every day he heard the heart-rending pleas of women assigned to his care begging to be discharged because they believed these doctors to be the harbingers of death. Fortunately, Dr. Semmelweis was smart enough to listen to his patients. The obstetrician made the vital connection that puerperal fever was caused by the doctors transferring some type of “morbid poison” from the dissected corpses in the autopsy suite to the women laboring in the delivery room. 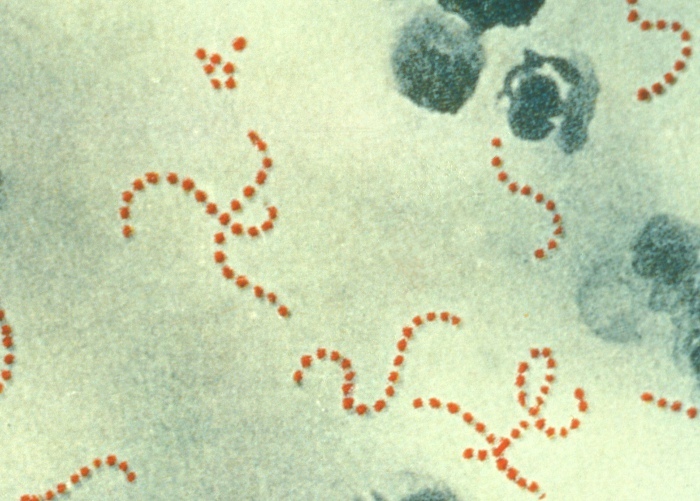 That morbid poison is now known as the bacteria called Group A hemolytic streptococcus. That said, it was Dr. Semmelweis who ordered his medical students and junior physicians to wash their hands in a chlorinated lime solution until the smell of the putrid bodies they dissected in the autopsy suite was no longer detectable. Soon after instituting this protocol in 1847, the mortality rates on the doctor-dominated obstetrics service plummeted. Unfortunately, Semmelweis’s ideas were not accepted by all of his colleagues. Indeed, many were outraged at the suggestion that they were the cause of their patients’ miserable deaths. 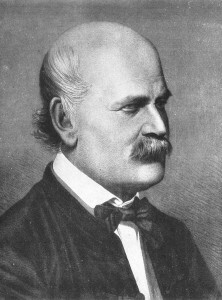 Consequently, Semmelweis met with enormous resistance and criticism. A remarkably difficult man, Semmelweis refused to publish his ”self-evident” findings until 13 years after making them despite being urged to do so repeatedly by those who supported him. To make matters worse, he hurled outrageously rude insults to some of the hospital’s most powerful doctors who deigned to question his ideas. Such outbursts, no matter how well deserved, never go unnoticed, let alone unpunished, in the staid halls of academic medicine. Becoming more shrill and angry at each detractor’s critique, Semmelweis lost his clinical appointment at the Vienna General Hospital and in 1850 abruptly left for his native Budapest without even telling his closest colleagues. In 1861, he finally published his work, “Die Aetiologie, der Begriff und die Prophylaxis des Kindbettfiebers” (“The Etiology, the Concept, and the Prophylaxis of Childbed Fever”), in which he explained his theories on childbed fever, the ways to avoid spreading it by means of vigorous hand-washing and an attack on every one of his critics with a vitriol that still leaps off the page. Dr. Semmelweis’s behavior became more and more erratic and he was finally committed to an insane asylum on July 30, 1865. He died there, two weeks later, on Aug. 13, 1865, at the age of 47. Historians still argue over what caused Semmelweis’s mental health breakdown and subsequent death. Some point to an operation Semmelweis performed, wherein he infected himself with syphilis, which may also explain his insanity. Others believe he developed blood poisoning and sepsis while imprisoned in the asylum for what may have been an unbridled case of bipolar disease. More recently, some have claimed that the obstetrician had an early variant of Alzheimer’s disease and was beaten to death in the asylum by his keepers. Semmelweis’s professional timing could not have been worse. He made his landmark discovery between 1846 and 1861, long before the medical profession was ready to accept it. Although Louis Pasteur began exploring the role of bacteria and fermentation in spoiling wine during the late 1850s, much of his most important work initiating the germ theory of disease occurred between 1860 and 1865. A few years later, in 1867, the Scottish surgeon Joseph Lister, who apparently had never heard of Semmelweis, elaborated the theory and practice of antiseptic surgery, which included washing the hands with carbolic acid to prevent infection. And in 1876, the German physician Robert Koch successfully linked a germ, Bacillus anthracis, to a specific infectious disease, anthrax. Since the early 1900’s, however, physicians and historians have heaped up high praise for Semmelweis’s work and expressed sympathy for his emotional troubles and premature death. Today, in every school of medicine and public health, his name is uttered with great reverence whenever the critical topic of hand washing is taught. 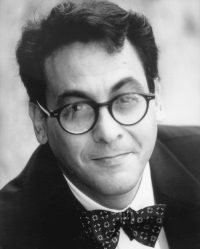 Sadly, in real time, he was derided as eccentric at best and, at worst, as an angry, unstable man who ought to be drummed out of the profession. The real truth of the matter is that his detractors were wrong and he was right. Dr. Semmelweis paid a heavy price as he devoted his short, troubled life to pushing the boundaries of knowledge in the noble quest to save lives. On the 165th anniversary of publicly announcing his landmark medical discovery, it seems fitting that we pay grand tribute to the great Dr. Semmelweis. Perhaps the gesture he might appreciate the most, however, is for us all to simply wash our hands often and well.